Owl Things First! 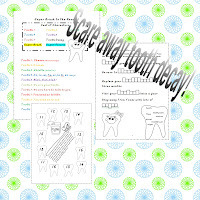 : Dental Health Freebie! REALLY? Another Snow Day? I can't believe it! As soon as I heard the phone ring at 5:45 AM I knew it could only mean one thing. Each day we have scheduled Crazy Hair and Hat Day at school it has been a Snow Day. I've had enough. I miss my Owlets! At least we had time to get some wonderful work done yesterday. We read directions to make a mask and, of course, followed them! I know it is wrong to pick favorites, but... Is this mask not gorgeous? He spent so much time making his mask look like a cheetah. Some students just rushed through to get the job done. I don't know how to get some of my friends to slow down and do more careful work. It seems that many activities become a race to see who can finish first. I've tried many things to slow them down. What do you do to help your students be more thoughtful and careful workers? Today was going to be Dental Health Day. Sadly, we'll have to put it off until Monday. Would you like to join in the fun? I've written this little play about dental health. 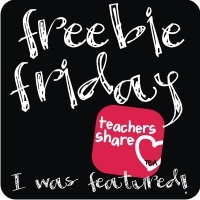 You can buy it at TPT, or get it free HERE! Or we could facetime and my class could put the play on for you....Wouldn't that be fun?! A snow day!? Lucky!! We got snow but not enough for a snow day! Enjoy! Love that little guy's mask. I was just thinking today about those fast careless finishers. Not sure what the solution is. If I can get my iPad back from my husband, I would love to facetime with your class! Let's work on that idea. Where are you getting all the snow? Maybe it will be making its way to Tennessee :) Thanks for the freebie!